When I travel back home, I often find great articles of clothing that were once left behind. This gorgeous maxi dress was actually left behind by my sister, but I didn’t hesitate to wear it! 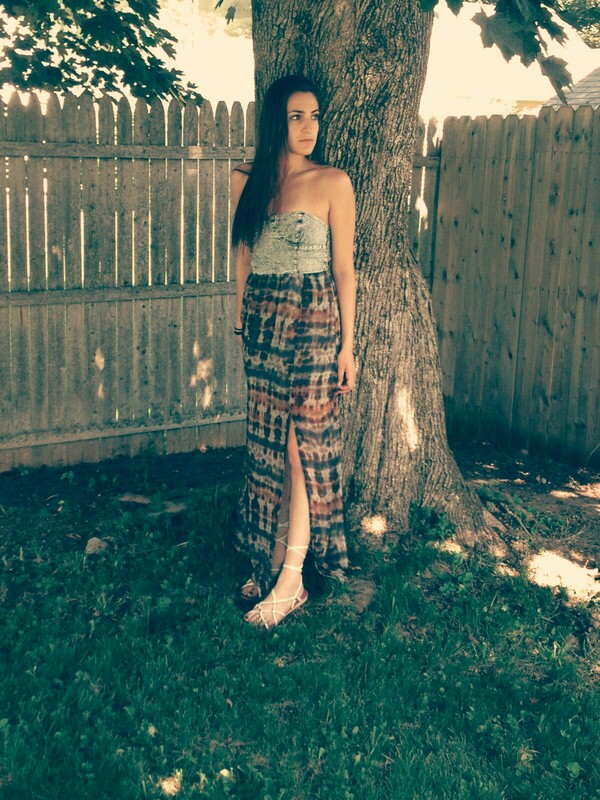 😉 The jean top paired with the tie dye skirt make this maxi irresistible. Paired with lace up shoes I got years ago from H&M!